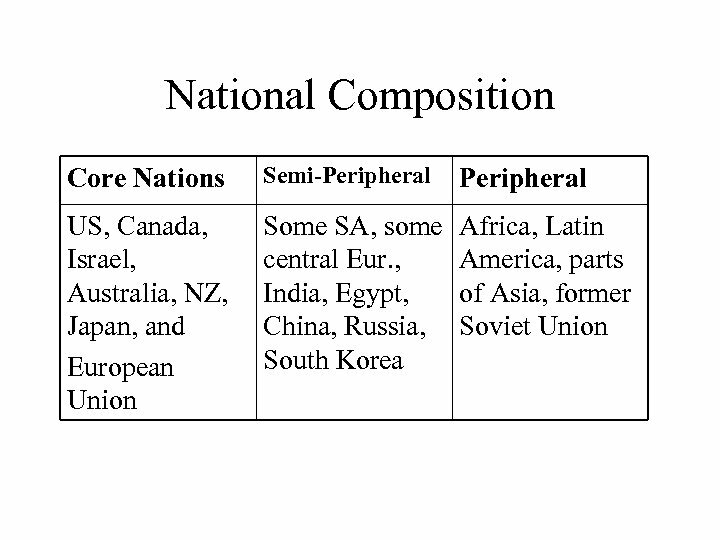 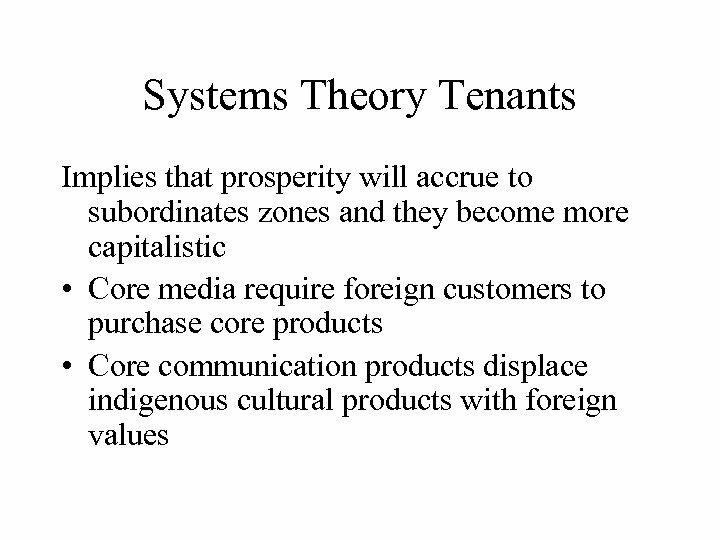 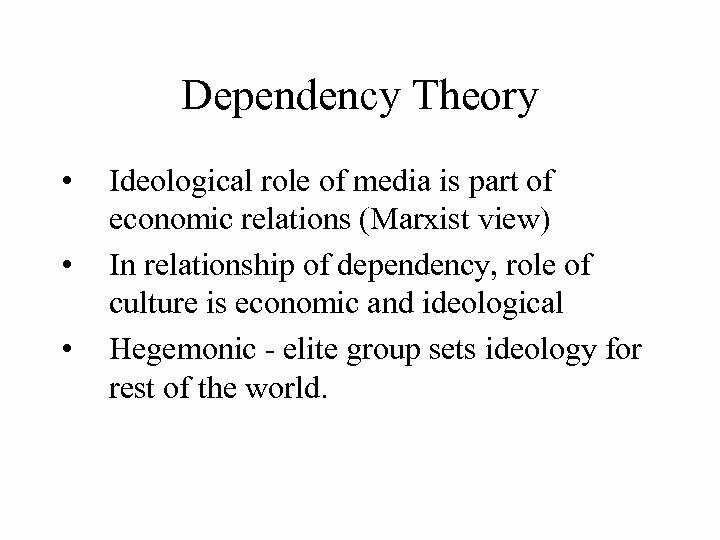 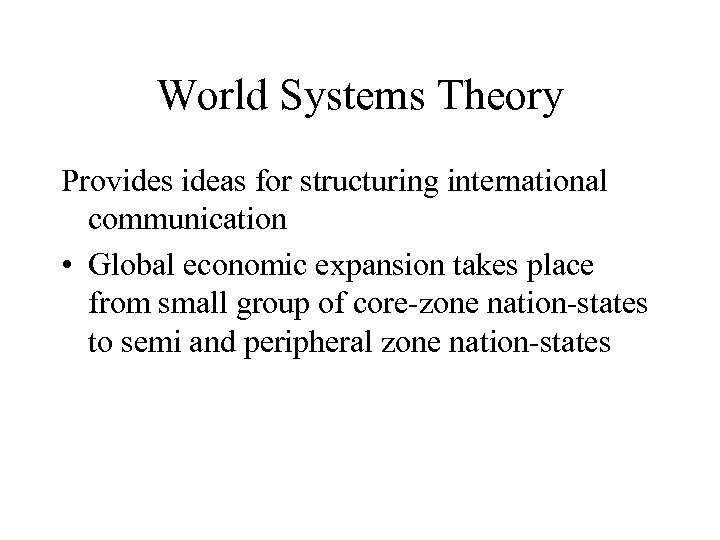 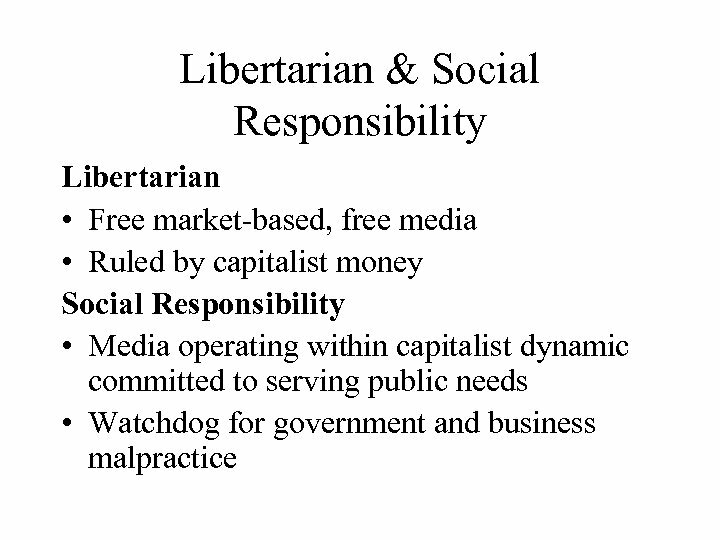 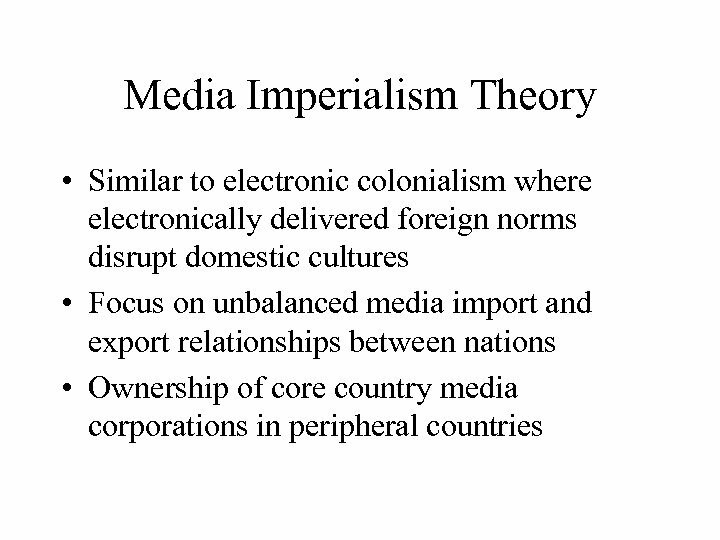 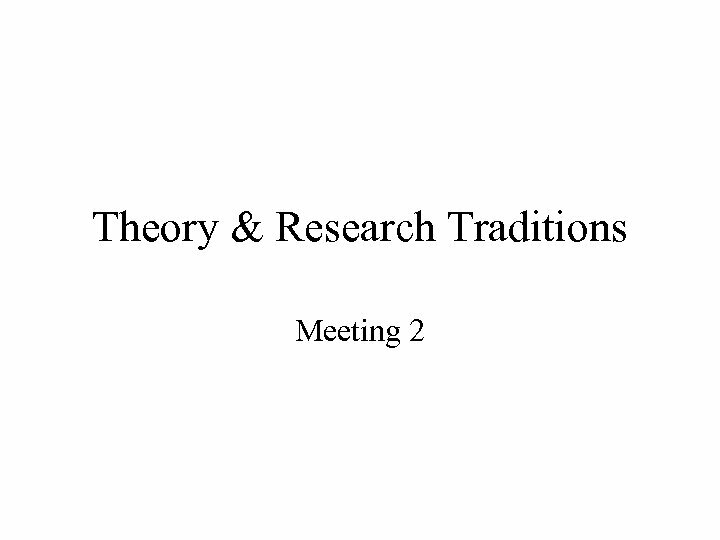 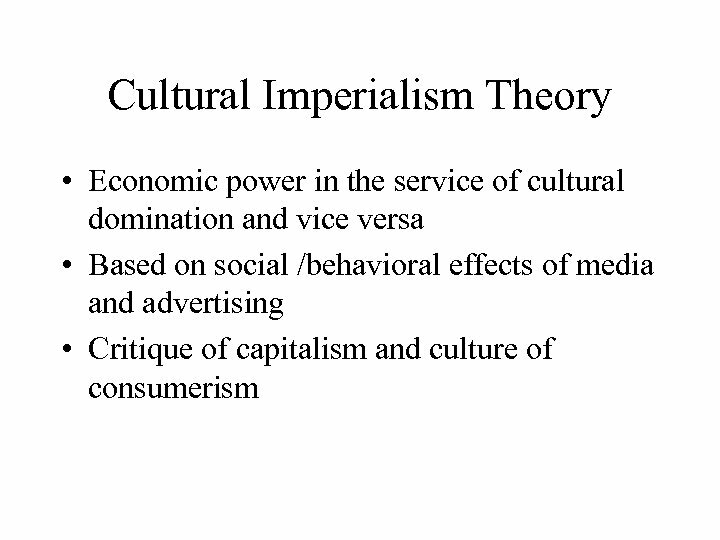 Dependency Theory • • • Ideological role of media is part of economic relations (Marxist view) In relationship of dependency, role of culture is economic and ideological Hegemonic - elite group sets ideology for rest of the world. 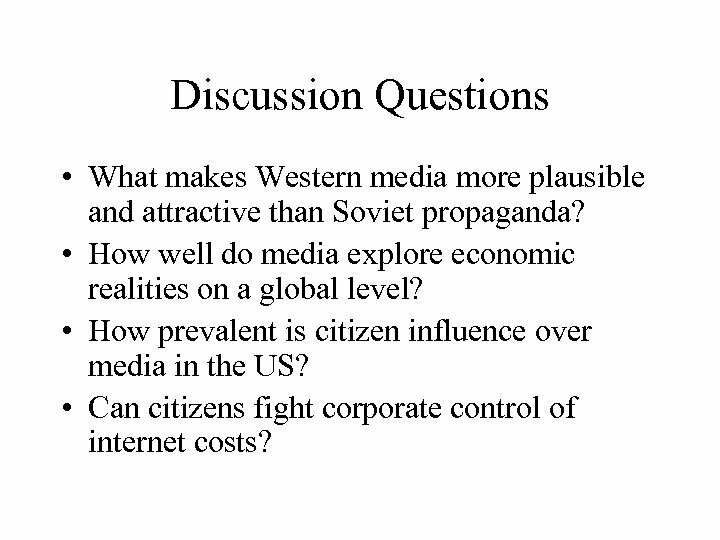 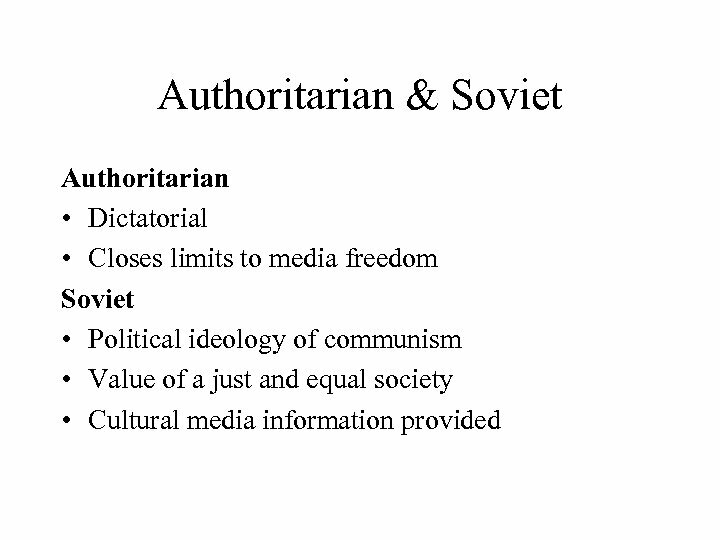 Discussion Questions • What makes Western media more plausible and attractive than Soviet propaganda? 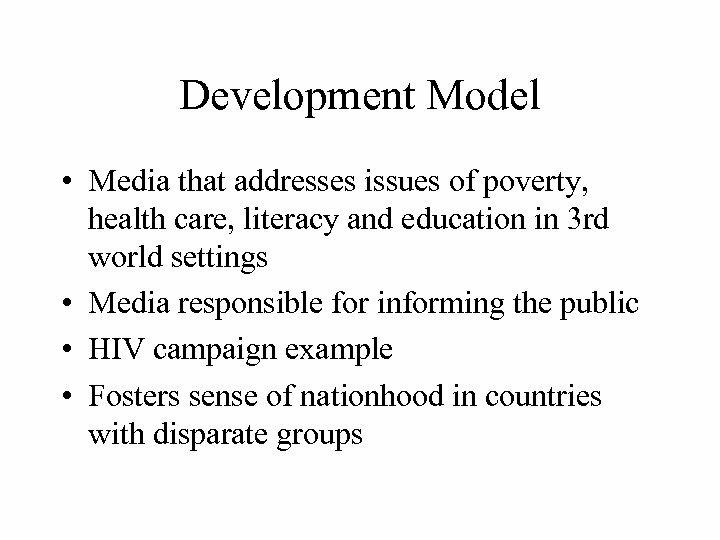 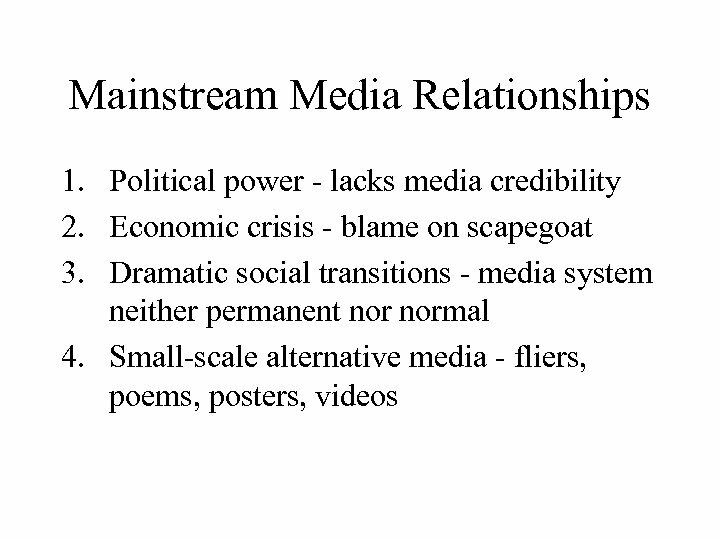 • How well do media explore economic realities on a global level? 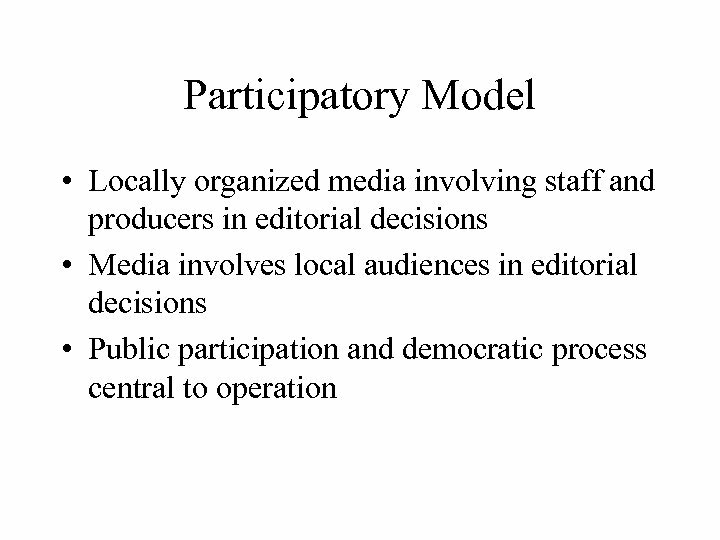 • How prevalent is citizen influence over media in the US? 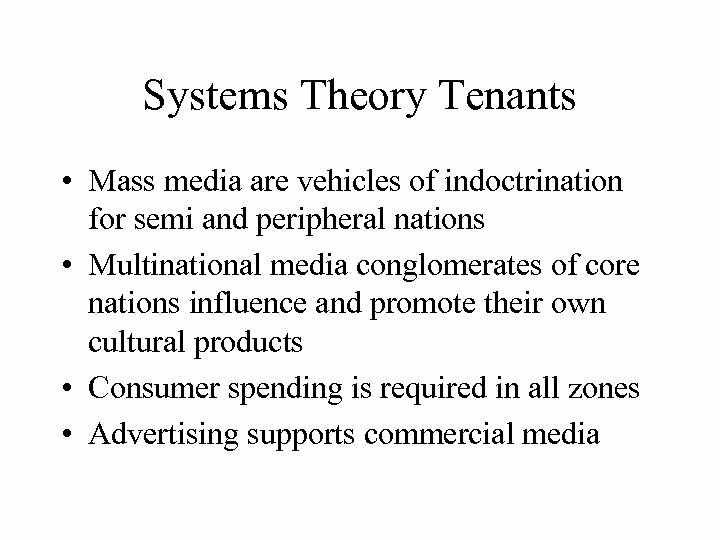 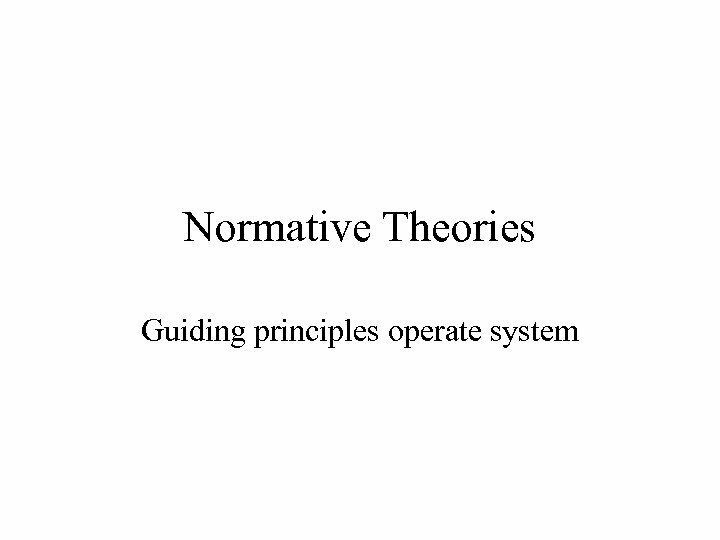 • Can citizens fight corporate control of internet costs?